PPL (Private Pilot’s Licence) – 45 hours minimum including skill test. 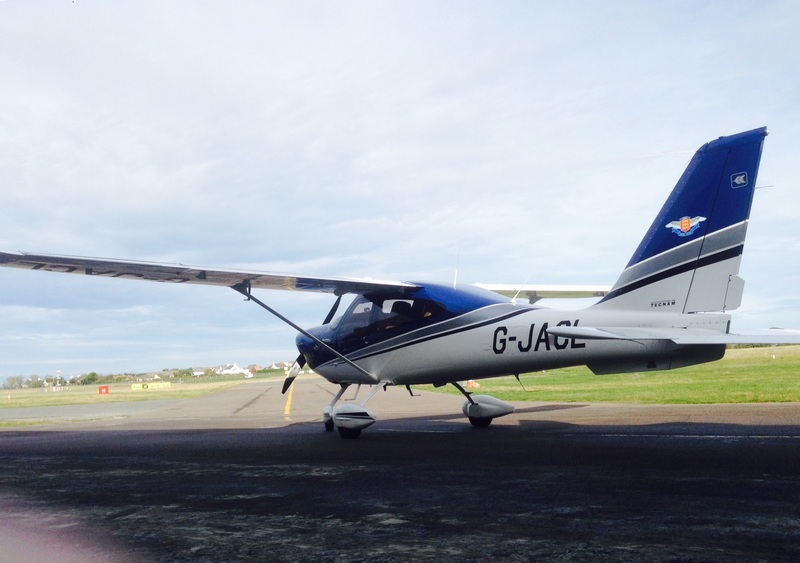 The Jersey Aero club trains student pilots to fly for the JAR PPL licence qualification, as set down by the UK CAA & JAA. The potential PPL will be trained in the full syllabus as well as obtain several other skills that many other training establishments cannot offer, mainly due to its excellent location. The full syllabus teaches you how to safely control an aeroplane, navigate accurately in Visual Flight Rules (VFR) conditions, use a radio correctly, interpret the weather, understand aircraft systems, flight planning and Aviation Law. Training over water: much of your training is over water, this means that you are used to flying over water, so do not have a fear of it when flying, but a healthy knowledge and respect for it. A busy international airport environment: Jersey has a very busy international airport with commercial traffic, medium and small aircraft, as well as a wide variety of general aviation aircraft. The airport, in season, can sometimes have over 350 movements a day, with up to 35 movements an hour. In this environment, you learn to be precise over the radio (including read backs), quickly respond to air traffic instructions & requests, be observant in the busy aerodrome environment (often you can be #2 to an airliner) and you will be used to flying in the Channel Islands Class D airspace, with VFR clearances as the norm. All cross countries (navigational exercises) are in foreign airspace: Due to the geographical location of the Channel Islands, your navigation lessons and cross country exercises are carried out over the French areas of Normandy and Brittany. You will even land, several times in France, getting used to customs and immigration procedures in both France and the Channel Islands. As a student pilot from the Jersey Aero Club, you will do things that many high hours, UK pilots only dream of. Do not forget your passport! Regular use of aviation documentation: Due to the need to pass from UK airspace to French airspace (crossing an FIR boundary), you will regularly use a flight plan form. How to complete a Flight Plan Form is part of the theory lessons, however, most schools in the UK do not use them practically because there is no need. In the Jersey Aero Club you will always need to file a flight plan or receive Air Traffic Control clearance. Also when leaving Jersey for France (if landing) you will need to file a General Declaration Customs Form (GenDec).